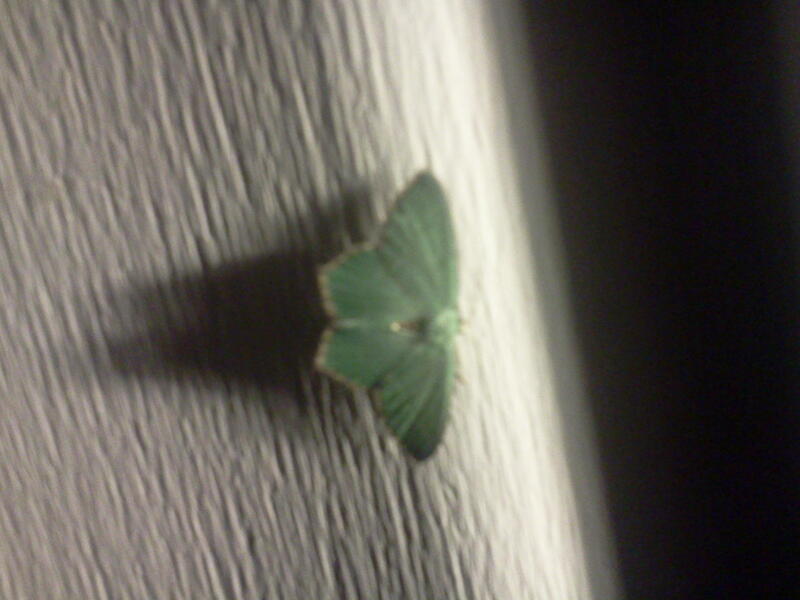 Observation notes: ive never seen a moth like this in Whatcom Co. it just stayed in that spot very still. other moths-the typical tan kind were dive bombing me. i began swating them away and tbe blue-ish green one just stayed in the same spot unbothered. i really would like to know what kind of moth it is. very pretty! no markings. just one solid color. it was a warm dry night. Coordinator notes: We would also be interested in any other moths you can photograph at your place. Thanks for the record.